The Internet of Things, or IoT, isn't as esoteric as it sounds. It simply refers to the interconnection of physical objects, computing devices and encompasses a wide range of emerging technologies such as virtual power plants, intelligent transportation systems and smart cars. One a smaller scale, IoT includes any "smart" (internet-connected) household item, from lighting to thermostats to televisions. Broadly speaking, IoT can be thought of as a far-reaching expansion of internet technology through an ever widening network of products, devices and systems embedded with sensors, software, and other electronic systems. Belonging to an interconnected ecosystem enables them to both generate and exchange data to make them more useful. In 1990, British computer scientist Tim Berners-Lee had just completed work on the critical pieces of technology that formed the foundation of the world wide web: HyperText Transfer Protocol (HTTP) 0.9, HyperText Markup Language (HTML) as well as the first Web browser, editor, server, and pages. At the time, the internet existed as a closed network of computers limited to mostly government agencies and research institutions. However, by the early 21st century, the internet had expanded globally and has become one of the most influential technologies in the world. By 2015, more than three billion people have used it to communicate, share content, stream video, purchase goods and services and more. The Internet of Things is poised to be the next big leap in the evolution of the internet with the potential to transform how we work, play and live. Some of the most obvious benefits are in the business world. Consumer goods, for example, stand to benefit from IoT throughout the entire supply chain. Factories that utilize automation will be able to connect various systems to eliminate inefficiencies while the cost of transporting and delivering goods can be reduced as real-time data helps to determine the ideal routes. On the retail end, products embedded with sensors will be able to relay performance details and customer feedback to the shops and manufacturers. This information can then be used to streamline the repair process as well as to refine future versions and develop new products. The use of IoT is industry-specific. Agriculture companies, for example, have already made use of sensors to monitor crops and environmental changes such as soil quality, rainfall, and temperature. This real-time data is then sent to automated farm equipment, which interprets the information to determine how much fertilizer and water to distribute. Meanwhile, the same sensor technologies can be applied in healthcare to enable providers to automatically monitor patients’ vitals. The Internet of Things is poised to shape consumers' experiences with technology for years to come. Many standard household devices are available in "smart" versions, intended to increase convenience and efficiency while lowering cost. Smart thermostats, for example, integrate user data and ambient data to intelligently control indoor climate. As consumers have begun to acquire a growing number of smart devices, a new need has arisen: technology that can manage and control all IoT devices from a central hub. These sophisticated program, often called virtual assistants, represent a form of artificial intelligence with a strong reliance on machine learning. Virtual assistants can operate as the control center of an IoT-based home. One of IoT's most significant challenges is large-scale implementation. 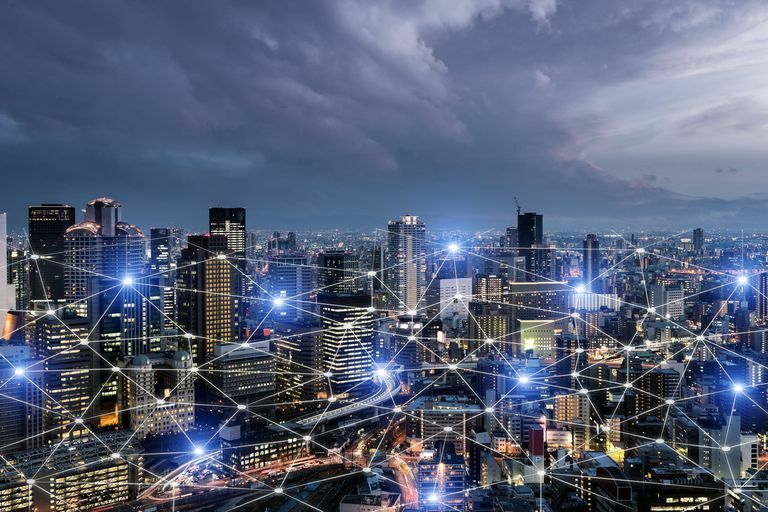 Integrating IoT devices in a single-family home or multi-story office space is relatively simple, but integrating the technology into an entire community or city is more complex. Many cities have existing infrastructure that would need to be upgraded or entirely revamped in order to implement IoT technology. Nevertheless, there are some success stories. A sensor system in Santander, Spain enables residents to locate free parking spaces using the city's smartphone app. In South Korea, the smart city of Songdo was built from scratch in 2015. Another smart city — Knowledge City, in Guangzhou, China — is in the works. Despite the rapid development of the Internet of Things, major barriers remain. Any device that connects to a network, from a laptop to a pacemaker, can be hacked. Consumers, business, and governments alike share concerns about the risk of security breaches if IoT were to become more widespread. The more personal data our devices generate, the greater the risk of identity fraud and data breaches. IoT also intensifies concerns about cyber warfare. Still, the Internet of Things continues to grow. From something as simple as a lightbulb that can be turned on and off with an app, to something as complex as network of cameras that sends traffic information to municipal systems to better coordinate emergency response, IoT presents a variety of intriguing possibilities for the future of technology.